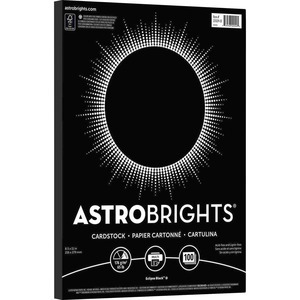 Astrobrights Colored Cardstock is high-impact paper that features bold, deeply saturated colors to make your creations stand out. Its 65 lb. paper weight makes it the perfect choice for flyers, school projects, direct mail and much more. It is acid and lignin-free for long-lasting color yet it is smooth enough to work with inkjet and laser printers. Enjoy brighter colors for brighter ideas.